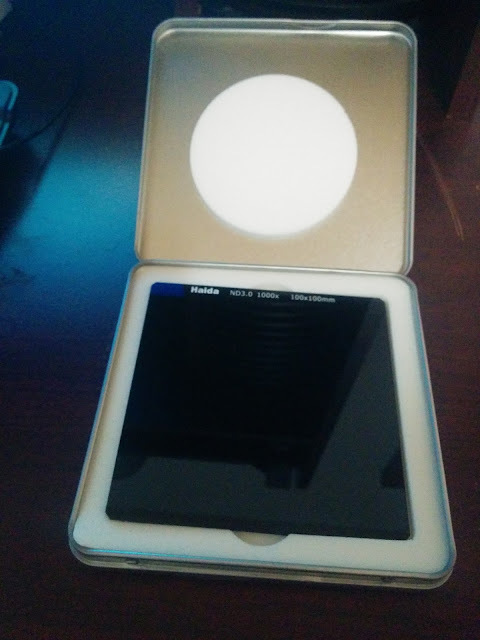 How to use a 10 stop square shaped neutral density filter? Since the beginning of my photography journey, I have always been a fan of clouds, stars, sunset, sunrise and ocean. 11-16 mm and a 70-300 mm telephoto lens can definitely be called as my best friends. Having purchased a 10 stop neutral density filter recently, this post is about my experience using an ND filter for the first time. 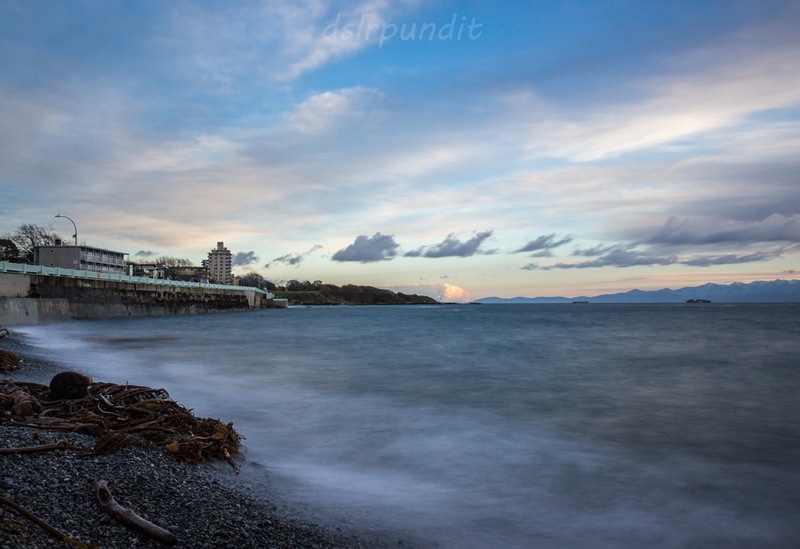 It will also serve as a step by step tutorial for using a neutral density filter. Soft grad: The darker-softer part merge is gradual, smooth and hard to notice. Hard grad: The darker-softer part merge is sudden, rough and easy to notice. 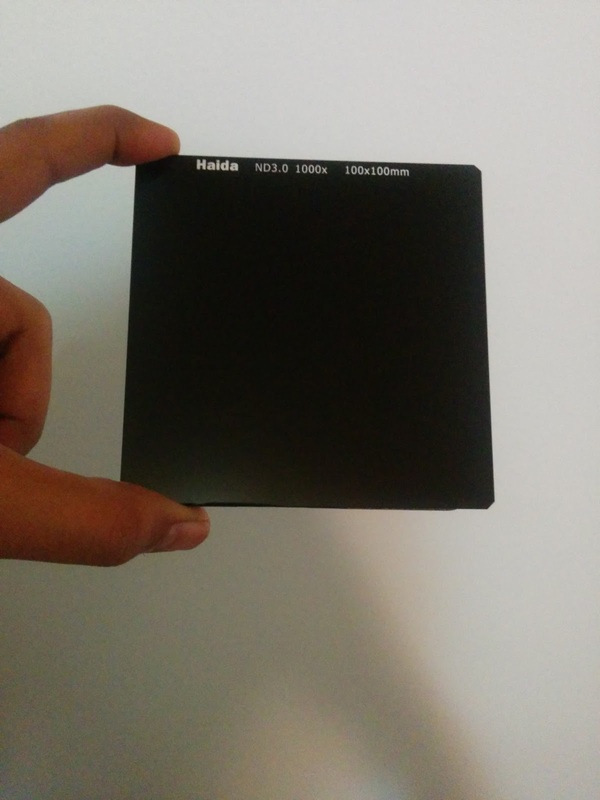 The image below represents my classic 10 stop Haida neutral density filter. It came in a really nice metal case with a shiny and smooth touch. If you are wondering about the meaning of ND3.0 or 1000x, check out one of the old posts explaining the nomenclature of neutral density filters. 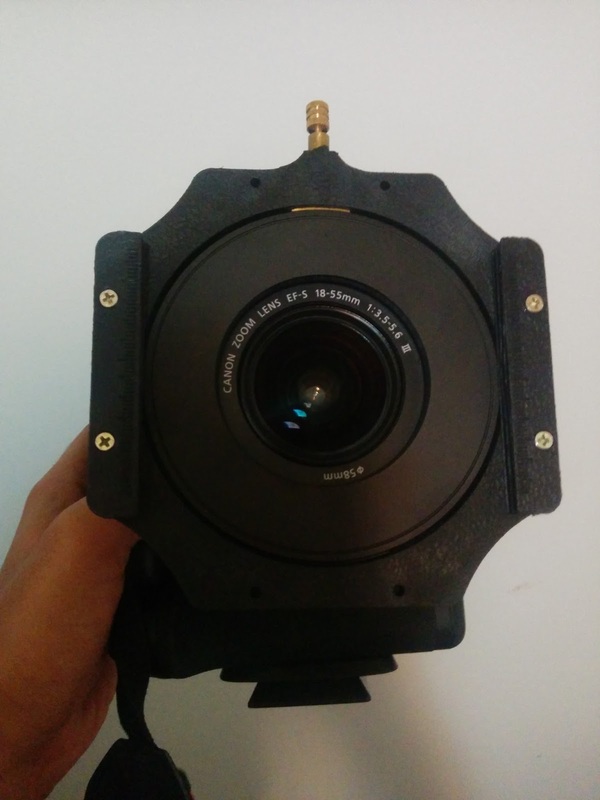 As the filter is square in shape, we need something to hold it properly in front of the lens. For this, a ring matching the size of the lens filter and a slot mount is required. A typical set up for rectangular filters looks similar to my camera image shown below. 1) Connect the ring and slot mount to the ring of your lens. 2) Connect the remote shutter and set the exposure value. 3) Compose the shot, focus (manual or auto..up to you). 4) Switch to manual focus once composed and position is set. Or you can use the back button focus technique here, but it would require you to consistently hold a button. 5) Slide the ND filter into the slot with extreme caution. You don't want to disturb the focus or composition while sliding it in. Once done, it would be totally dark and impossible to see. 6) Activate the remote shutter and wait for the filter to do the magic. Here is a 10-second exposure shot I took recently just before sunset. Enjoy the silky water and cotton ball clouds doing long exposure photography. Pro Tip: A lens with a rotating front element for focusing will be harder to work with ND filters as compared to a lens with a fixed front element.